Aleesoft Free iPad Video Converter is a free ipad video converter. This free iPad converter can help you convert MP4 to iPad including iPad HD video, MP4, MOV, M4A, then let you enjoy mp4 video on your iPad. Movie or video clip that uses MPEG-4 compression, a standard developed by the Moving Picture Experts Group (MPEG); commonly used for sharing video files on the Internet. The MPEG-4 video format uses separate compression for audio and video tracks. Video is compressed with MPEG-4 video encoding. Audio is compressed using AAC compression, the same type of audio compression used in .AAC files. 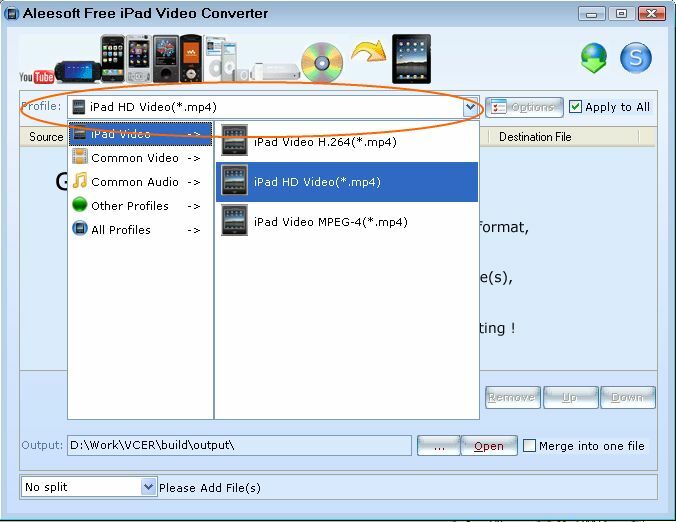 Before converting mpeg-4 video to iPad, please download and install Aleesoft Free iPad Video Converter. Step 1: Choose output format. Click "Profile" drop-down list to choose an output media format. Step 2: Add video. Click "New Task" button to add mp4 video to this free mp4 to iPad converter, also you can drag and drop avi video file from windows explorer into this MPEG-4 to iPad converter. Step 3: Convert. 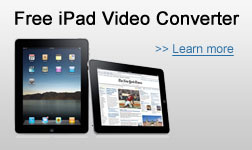 Click "Convert" to start converting mp4 video to iPad. After MP4 to iPad conversion completed, Aleesoft Free iPad Video Converter can help you add the converted videos to iTunes automatically, then you can transfer the converted iPad video file to your iPad and enjoy. Now download Aleesoft Free iPad Video Converter and start to enjoy the mpeg-4 video on your iPad.